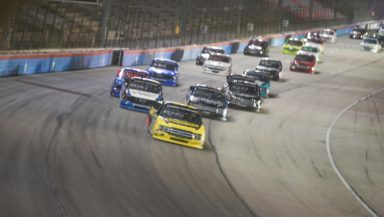 The NASCAR Gander Outdoor Truck Series visited the Midwest this past weekend to Texas Motor Speedway. It was the fifth race of the 2019 season and from the get-go, the Vankor 350 was a wild event. Turn 2 was the trouble spot for the night with four cautions taking place in that turn. The action didn’t stop there though. The end of Stage 1 saw Thorsport teammates make a nervous moment for the team owner as Grant Enfinger and Ben Rhodes battled it out for the stage win. When the race was winding down, Stewart Friesen found himself chasing down Kyle Busch for his first career win. Friesen was only able to get to Busch’s back bumper, but once he did, Friesen’s truck got tight and went away. Ultimately, a familiar foe played the same song, fourth verse. Fourth verse as Kyle Busch continued his winning dominance in the Truck Series. While Busch won again for the fourth time this year, Truck Series regulars had to settle for a solid points night and look forward to a win at Dover, where Busch is not competing. Here’s a look at this week’s power rankings following the Vankor 350 at Texas Motor Speedway. Stewart Friesen – Another second place finish for the No. 52 driver out of Canada. He came close to snapping Kyle Busch’s win streak, but just got tight at the end. Only a slip up on Busch’s part (which is rare on his part) or a late race caution would have given Friesen another chance. As much as he wanted to win, the Canadian still had a solid night and continues to be the Truck Series points leader by six points. 2. Grant Enfinger – A top five finish for the Alabama driver who finished fourth after starting on the pole. The highlight of the night came at the end of Stage 1 narrowly edging Ben Rhodes to win the stage. For Stage 2, he finished seventh. In the end, the No. 98 team wound up fourth after “almost wrecked all three restarts,” Enfinger said coming to the checkers. It was his third top five of the year. 3. Matt Crafton – The winless streak continued following Texas for Crafton and the No. 88 Menards team finishing fifth. However, since the Vegas race, it’s all been about consistency for Crafton who has finished inside the top-10 in all races this year, except Atlanta where he finished 14th which he had come down pit road for a loose wheel under caution. Crafton finished 12th and second in both stages, respectively. Ultimately, the No. 88 Thorsport driver finished fifth. He’ll look to Dover, where Crafton won a couple of years ago. 4. Ross Chastain- While it wasn’t the night Chastain wanted, he still had a great finish and was able to claim another top-10 of the season. It was a relatively quiet night for the Floridian who finished seventh. Chastain finished 13th and fourth in both stages, respectively. He never really contended for the win, but momentum is everything in NASCAR and it’ll carry to Dover. 5. Tyler Ankrum- A great run for the No. 17 DGR-CROSLEY driver who finished sixth, despite his teammate Anthony Alfredo’s truck who caught on fire in a scary crash in Turn 2. Alfredo would be okay and have no serious injuries. Ankrum, however, finished seventh and tenth in both stages, respectively. Ankrum tied his best finish of sixth Friday night in his young career. The last time he finished sixth was last November at ISM Raceway. Previous Week Ranking- Not Ranked. Brett Moffitt – Moffitt had a great night going until, with 20 to go, he had a tire go down and was forced to pit. The No. 24 GMS Racing team finished 19th, four laps down. If you look throughout the race, the results don’t reflect how well Moffitt was running before this unfortunate mishap. He started on the front row in second and finished sixth in both stages. After a forgettable finish, Moffitt will look forward to Dover in May. Ben Rhodes – After an eventful ending to Stage 1 where Rhodes finished second to Enfinger and going on to finish third in Stage 2, he really was not seen for the rest of the night. The Carolina Nut Company Ford F-150 ThorSport team wound up in 10th place.